Mention Bangkok and a few things pop into mind without fail: great shopping, scrumptious food, relaxing massages… the list goes on. However, you don’t have to go all over Bangkok to get the full experience. At MBK Center (a.k.a. Mahboonkrong), Bangkok’s legendary shopping mall, you can find bargains galore, tons of exceptional services and delicious grub, making it a one-stop shopping paradise. We visited MBK Center on our trip to Bangkok, and here’s what we found! Welcoming visitors just outside the building are two landmark sculptures – “Makrub” and “Maja”, created by famous artist Taweesak “Lolay” Srithongdee, which were inspired by the Thai concept of friendship. These two adorable 7m high creatures look like both rabbits and dogs – they’re left to your imagination to define. One thing’s for sure though: they’re a must for selfie lovers! Now, let’s find out just how much MBK has to offer with these five amazing things you can do at MBK. 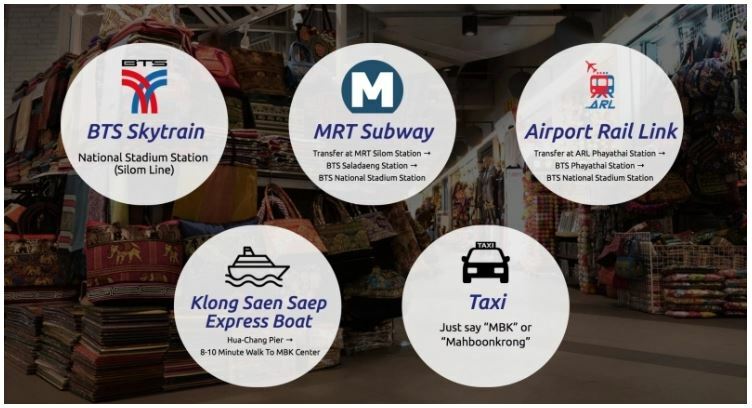 Bangkok is synonymous with shopping… and boy, does MBK deliver! Six floors packed with 2,000 shops selling all kinds of merchandise await you, so put on a comfortable pair of shoes and your game face on – it’s time to conquer this gigantic shopping mall. Whatever you need, MBK has it. 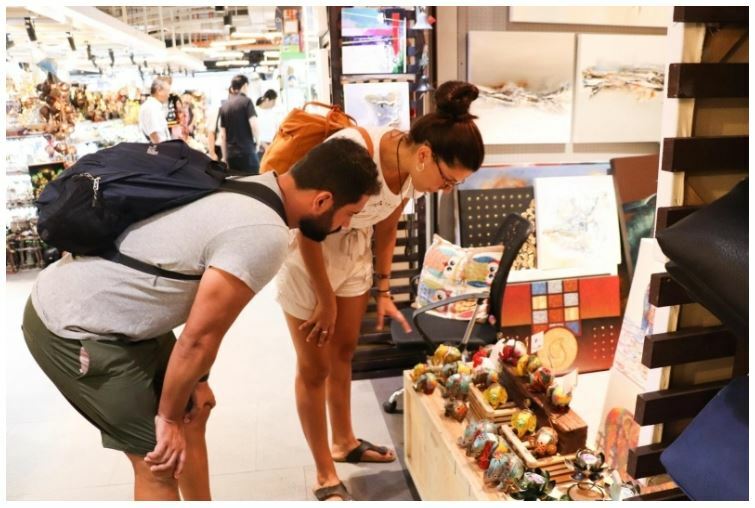 From the ground floor to the 3rd floor, you will find enclaves of shops and stalls selling all kinds of accessories, cosmetics, fashion, jewellery, organic products, packaged goods, and more. Part of the fun is wandering along the aisles of stores in MBK, getting lost in a mind–boggling range of goods, and looking out for things that take your fancy. We had a great time haggling over prices of elephant pants and adorable plush toys, which we eventually purchased at an extremely affordable price! Delve deep into a glittering sea of precious stones and gleaming silver and gold at the jewellery section (G floor D zone / 2nd floor B zone / 3rd floor A-B zone). How can you resist these lovely pieces when they’re such a steal? You can afford to buy that pearl necklace you’ve always wanted, or some gold bracelets for your grandmother. We had such a hard time choosing thanks to the variety of designs available, but eventually settled with a gorgeous pair of pearl earrings and a matching necklace! 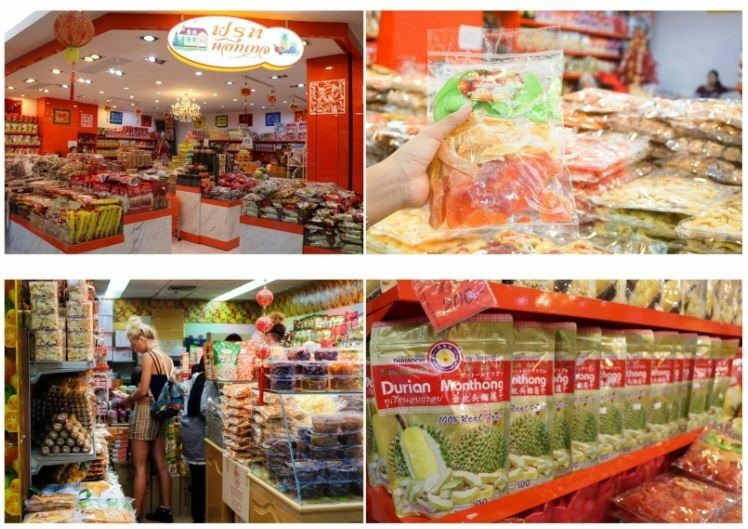 You’ll also find all the famous, high-quality dried foods from all over Thailand at MBK Centre (2nd floor, A31-A33 zone). 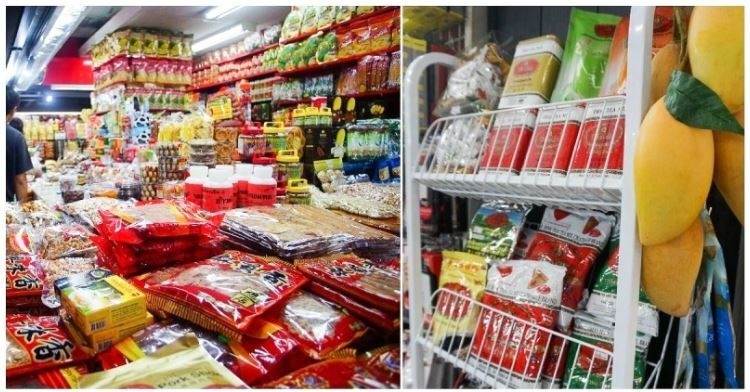 Offering more than 100 kinds of packaged dried goods such as fruits, squids, prawns, and Shiitake mushrooms, you’ll be spoilt for choice on what food souvenirs to buy back for your loved ones! From just 100 baht per packet, share a taste of Thailand with your friends and family today. We bagged home packets and packets of our favourite dried mangoes and durians, to share with family and colleagues! We were also thrilled to find a whole range of Thai tea powder and leaves for sale. With them, we can easily replicate our favourite Thai iced tea at home and yes, they taste pretty authentic! Get these unique and tasty options for your own consumption or for your loved ones, at G floor, B42 zone. If fancy dresses are your thing, check out the Image Fashion Zone at 3D zone, 3rd floor. Earn yourself some street cred with these cool tank tops. They make for apt souvenirs as well, given that Thailand is well known for its Muay Thai! You can even get training items too if you’d like to kickstart your foray into the world of Muay Thai. Needless to say, we bought a few pairs of Muay Thai boxers each! 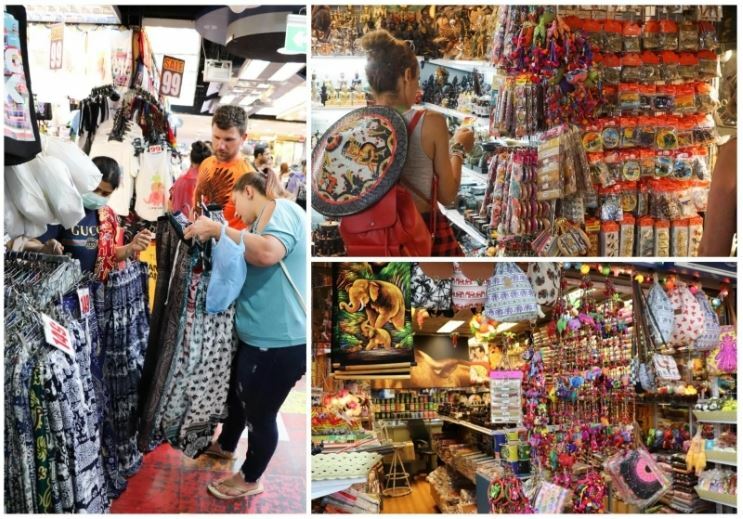 MBK has also gathered handicrafts and souvenirs from all the different provinces in Thailand for you to splurge on, at the Craft Village on the 6th floor. Take a selfie with the iconic Tuk-Tuk before exploring a dazzling range of traditional and niche goods from more than 200 shops, such as Thai silk, Thai herbal balms, handmade leather works, boxing trousers and more. It’s the perfect place to try and hone your bartering skills. Bring back a slice of Thailand with handicrafts and accessories that you can wear, use, or decorate your house with. We bought an adorable elephant figurine for us to remember our Thailand trip by. Niche goods are also available, with a variety of items that can be personalised upon request. They make great souvenirs for your loved ones without breaking the bank. Who says shopping is all about clothes and bags? Need a new phone? Get it at Mobile Mania, the biggest mobile market in Thailand, on the 4th floor, and don’t forget to pick a new case from the extensive selection of phone cases available! You can also have your phone fixed here by professional mobile repair technicians. If you’re a photography lover, visit Camera Center on the 6th floor. Professional photographers choose to come here because the shop owners are experienced photographers who can give you professional advice about cameras and accessories. They were incredibly patient in explaining the unique features of different camera models to us, and also helped us in deciding the camera that best suited our needs. Computers, drones, and various kinds of IT gadgets can be found on this floor too. Shopping is an intensive exercise and you’re bound to be famished after! 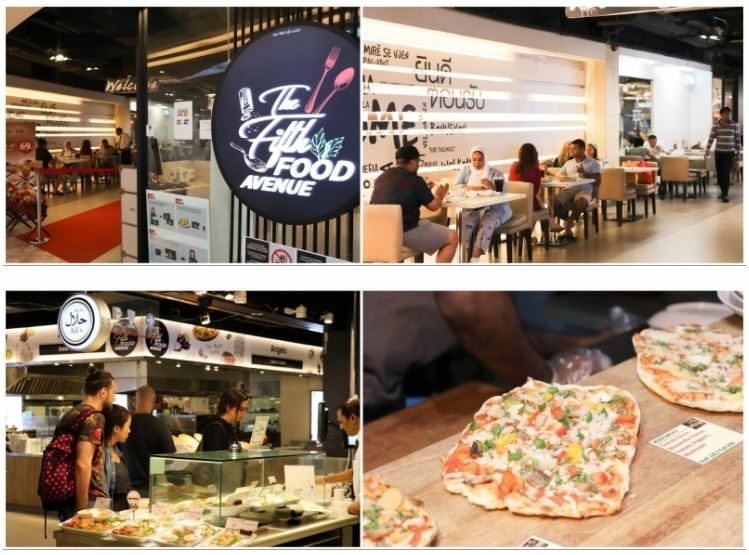 So you’ll be delighted to find an abundance of delectable eats all around the mall, ranging from international cuisines to local Thai dishes. 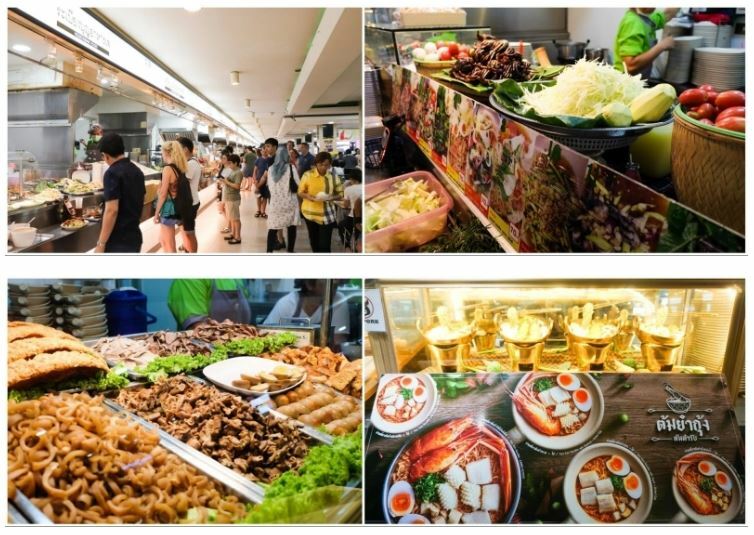 For those interested in international dishes, the Fifth Food Avenue has a great variety of dishes to satisfy your hunger. As its name suggests, it’s on the 5th floor, and visitors who stop by can show their passports to be warmly welcomed with fresh drinks. 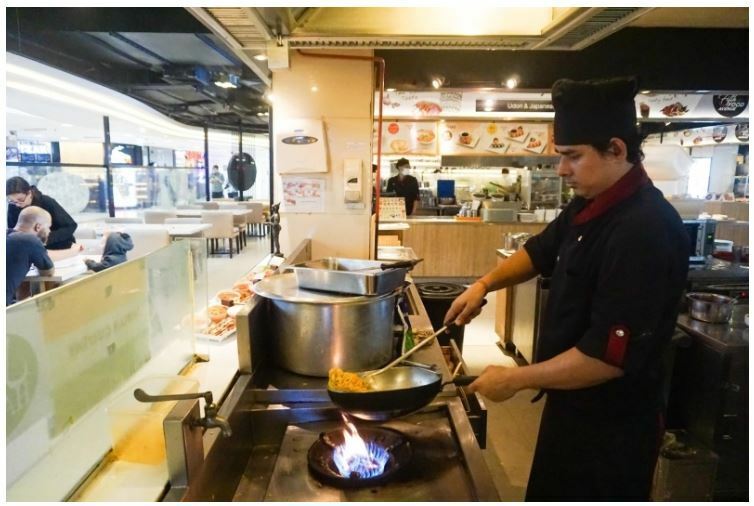 But if you’re determined to explore the depths of Thai cuisine, go straight to MBK Food Island on the 6thfloor. 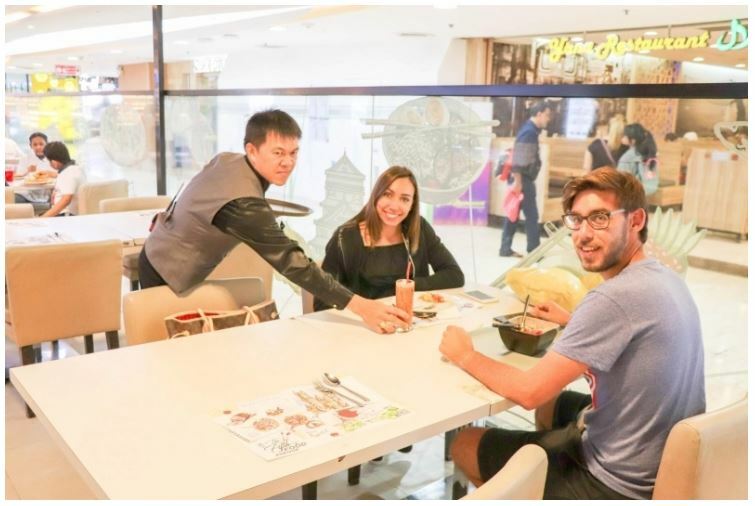 It is different from Fifth Food Avenue because it’s right in the centre of the main shopping area, so you can enjoy the authentic flavours of Thai cuisine whenever you’ve had enough of retail therapy. 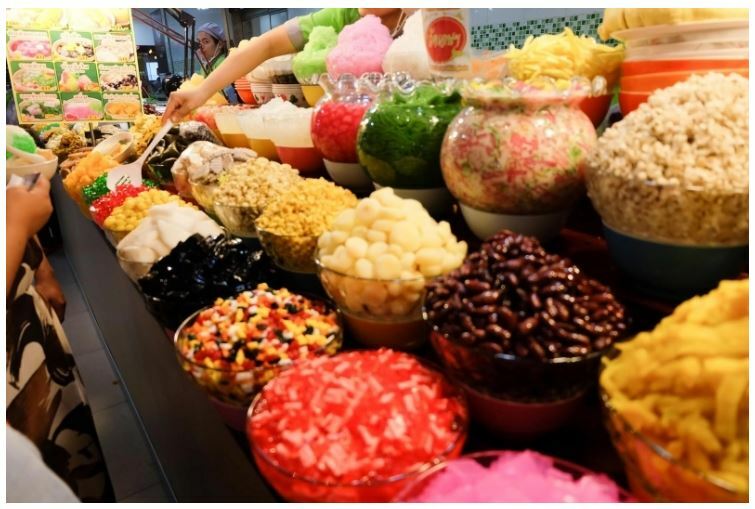 You will definitely not go hungry with all the mouthwatering street foods and desserts available in the mall. We had an absolutely satisfying meal of Pad Thai, Tom Yum Goong, Basil Beef with rice, and Green Curry here! A must-try snack is Khanom Bueang , thin crispy Thai traditional pancakes filled with a variety of sweet and savoury toppings. It’s the ideal light snack to provide you with more fuel to carry on shopping.It was so addictive – we just couldn’t stop at one! Next, quench your thirst at Mont Nomsod, a famous milk cafe that always commands a long queue, located on the 2nd floor. Mont Nomsod is famous for serving quality fresh milk since 1964, as well as coffee and toast. Remember to order their Condensed Milk Toast or the Chocolate Toast – it costs just 23 baht (~SGD1) and is crispy on the outside, yet soft and fluffy inside. We were blown away but how simple, affordable and remarkably delicious it was! Need to rest your feet? Go for a soothing massage and let these expert masseuses ease your aching muscles. Alternatively, rest up at the Tourist Lounge where you can recharge before going for another round of shopping! Or you can get the full pampering experience at any one of the hair or spa salons in the mall. We went for a full body Thai massage and it was exactly what we needed! We felt so refreshed and rejuvenated afterwards. To kill two birds with one stone, go for a manicure-pedicure as you take a breather. For the adventurous souls, you can even get inked with a new tattoo once you’re done shopping. Meanwhile, make use of their free WIFI to share this amazing experience with your friends on social media! You can even get pumped up for a fight with MBK’s Muay Thai Fight Night events, held every month. 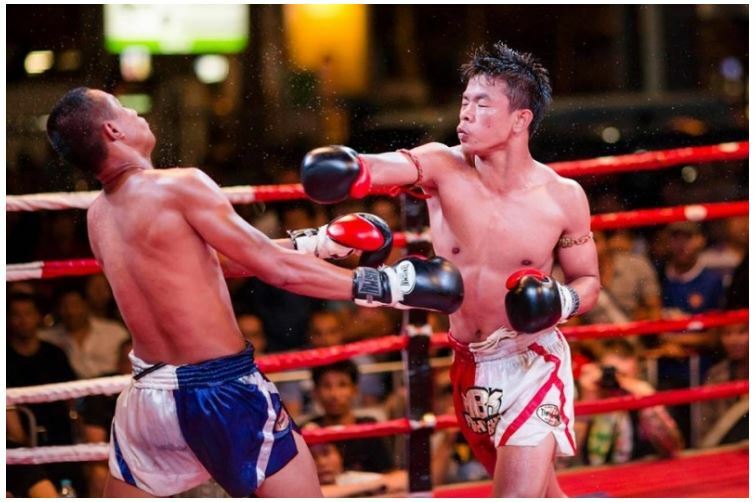 Watch with bated breath as two professional Muay Thai fighters battle it out in an intense match! MBK Center has numerous services that will make you feel like royalty while shopping there. Begin with a refreshing welcome drink that foreigners can redeem by flashing their passport at Fifth Food Avenue. Then, relax or recharge at the comfortable and spacious MBK Lounge (5th floor, D zone). Also, check with the MBK Information Counter about the MBK Tourist Privilege Card which gives you an extra discount at all participating stores! Getting tired of lugging your shopping bags around? MBK offers a Shopping Cart Service (AIRPORTEL 6thfloor, B zone) that eases your load and allows you shop leisurely without any hassle! 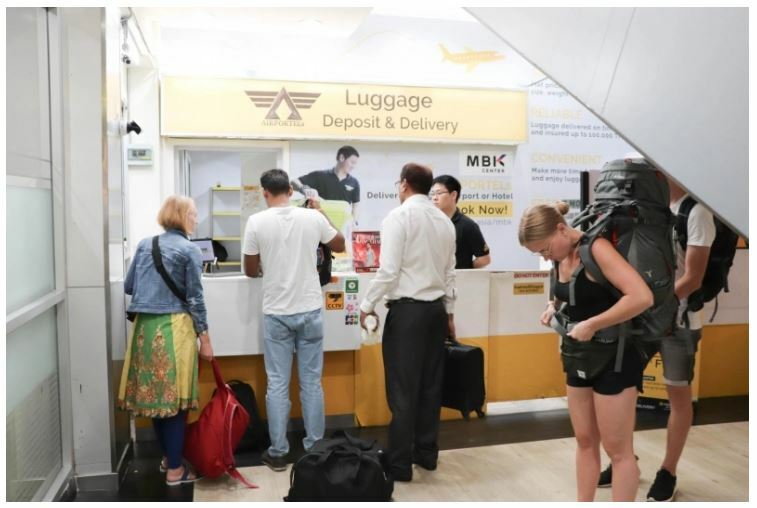 The Luggage Storage & Airport Delivery Service (6th floor, B zone) also enables you to squeeze in a quick shopping spree at MBK before heading off to the airport, without having to conxstantly lug your luggage around while shopping. MBK goes above and beyond the regular shopping mall in Bangkok to provide an unforgettable shopping experience! The incredible range of products at fabulous prices and various forms of entertainment will definitely keep you busy all day long. Don’t forget to bring your wallets along and have enough cash with you so you won’t leave with any regrets. 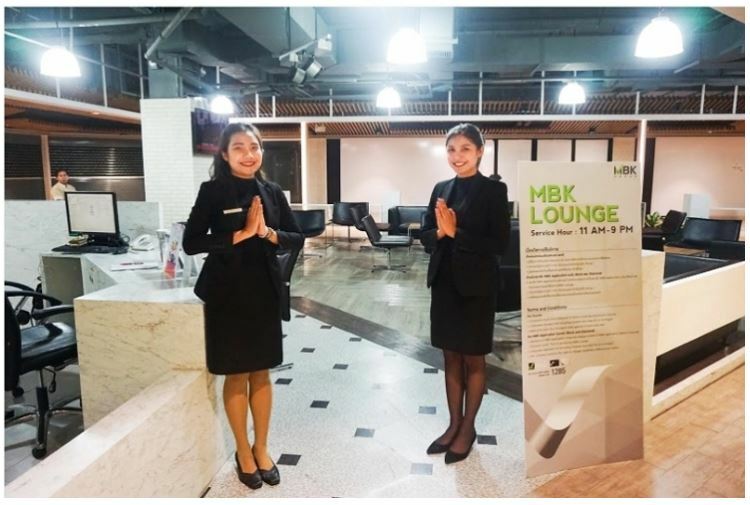 We had such a great time, from shopping to feasting and even enjoying massages – MBK Center truly is a one-stop destination for everything you could possibly need in Thailand! Click here to find out more about MBK and what it proudly offers. Don’t forget to register to get a free gift voucher and an exclusive MBK shopping bag(Only for foreign tourist.). 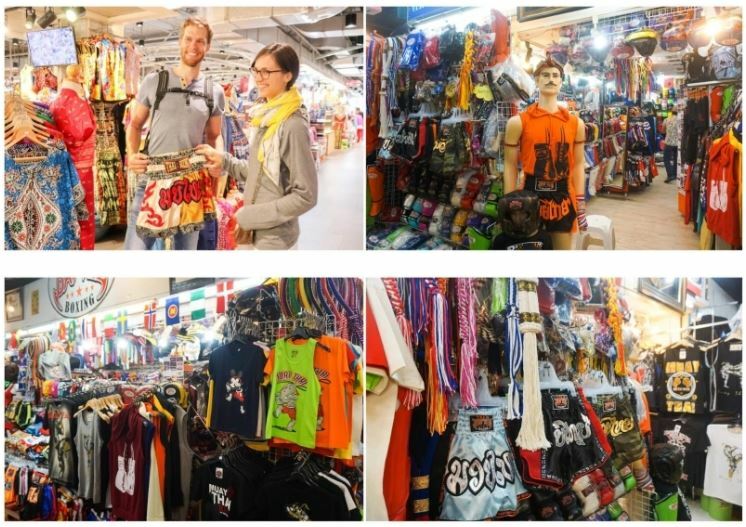 An awesome shopping experience in Thailand awaits you!